I presented a Visio deck of cards in a previous post ( see https://blog.bvisual.net/2014/12/03/a-visio-deck-of-cards/ ), and now I present a real game that can be played with Visio over the holiday season. 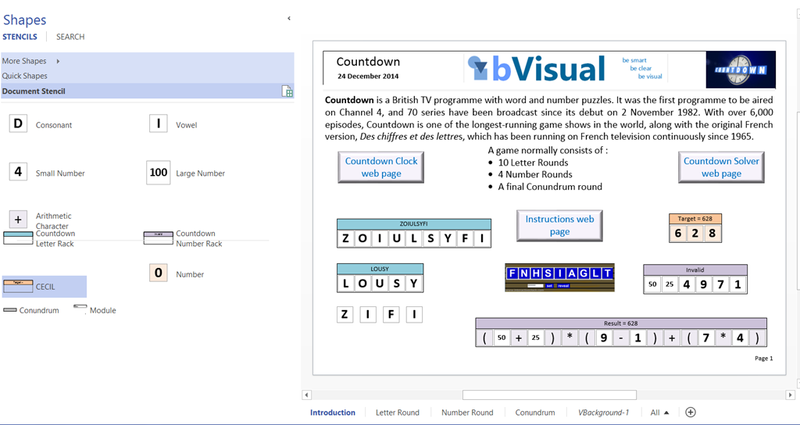 Countdown is a British TV programme with word and number puzzles. It was the first programme to be aired on Channel 4, and 70 series have been broadcast since its debut on 2 November 1982. With over 6,000 episodes, Countdown is one of the longest-running game shows in the world, along with the original French version, Des chiffres et des lettres, which has been running on French television continuously since 1965. Read more at http://en.wikipedia.org/wiki/Countdown_%28game_show%29. You can download this Visio 2013 document from http://1drv.ms/1xLsjVZ. There are no macros because I have restricted myself to using just ShapeSheet formulas. This example shows how a combination of List Containers and Items, along with ShapeSheet formulas can achieve a lot without resorting to any code. I am particularly pleased with being able to construct a word from the letters inside the Letter Rack, or to evaluate the arithmetic from the numbers and arithmetic characters in side the Number Rack. I have put instructions on each page on how to play each round, and links to a Countdown Clock web page to time yourself. In the Number Round, dropping a new CECIL shape on the page creates a random 3 digit number. Then you need to get 6 number tiles (Large and Small). 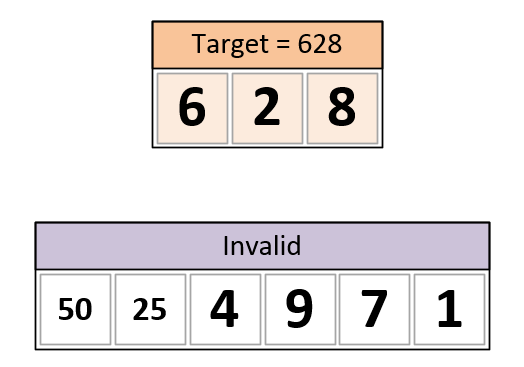 You then have 30 seconds to work out how to get close to the target number by using arithmetic expressions with the numbers. For the Conundrum round, I found a list of 9 letter words on the internet at http://www.becomeawordgameexpert.com/wordlists9.htm. They are intended for use with Scrabble, but I have chopped this list up into 8 parts because a Visio cell can can only hold 32k characters. 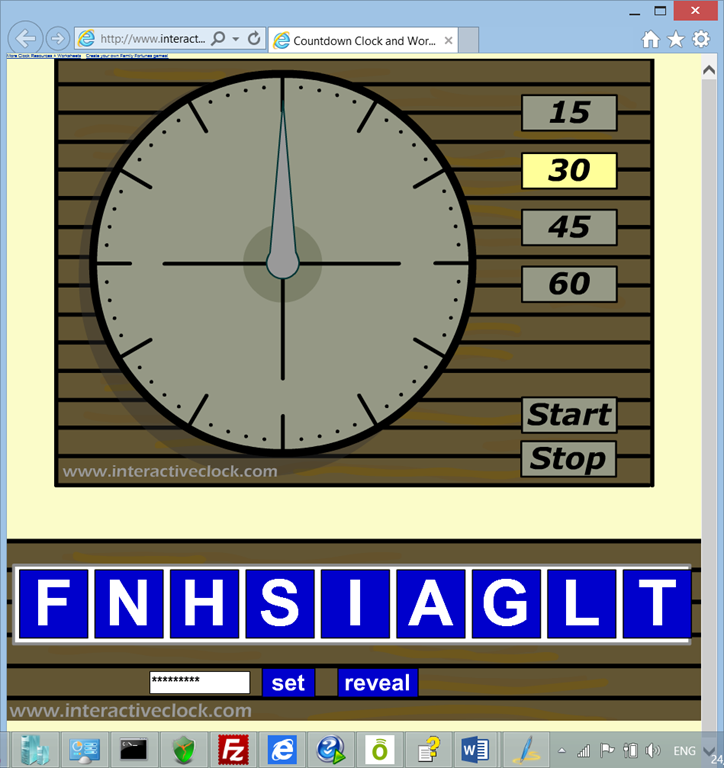 There are 24,869 words in total, and the Conundrum shape picks one at random, which can then be put into the textbox on the Countdown Clock web page at http://www.interactiveclock.com/countdown-clock-and-word-jumble-resource.html.